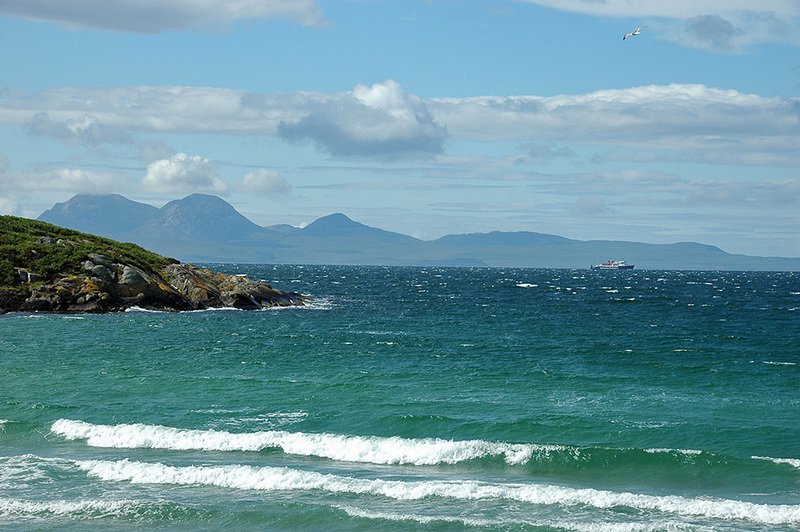 A view from near the twin beaches at Eilean Garbh on the Isle of Gigha in July 2008, Jura with the Paps of Jura in the distance. The Islay ferry MV Isle of Arran on her way to Kennacraig on the right. This entry was posted in Beaches, Gigha Excursion, Landscape, New Post, Sunny Weather and tagged ferry, Gigha, Islay, Jura, MV Isle of Arran, Paps of Jura by Armin Grewe. Bookmark the permalink.